Radcliffe Quadrangle is bordered by Cabot House on three sides and by Pforzheimer House (center). The Quad is about a 12-minute walk, or half a mile, from Harvard Square. When the straws are drawn on Housing Day each spring, the phrase “You got quadded?” is sometimes heard. It’s meant to suggest that someone drew the short straw. But the residents say that’s not so. In the fresh air of Radcliffe Quad, where the contoured and traditional lawn chairs have arms for books or laptops or lunch, the grass is perfectly manicured, not pockmarked or brown, not worn on the edges. Frisbee matches are uninterrupted by tourists. Occasionally, solitude reigns. Currier, Pforzheimer, and Cabot Houses also border the Quad, but mostly it belongs to Cabot House, which has residences on three of the four sides. In midafternoon, the sound of children laughing can be heard, as youngsters in the after-school program at Graham & Parks elementary school roll down the grassy slope. It is peaceful on Radcliffe Quad. There’s no river traffic or geese to waken weekend slumber. There are no late-night revelers passing open widows facing Harvard Square. The view from the southern tip of Cabot as the sun rises or sets is lovely. “Got quadded?” Yes, indeed! Propped on two Adirondack chairs, Michelle Haan '12, who lives in Pforzheimer House, kicks back with some jams. 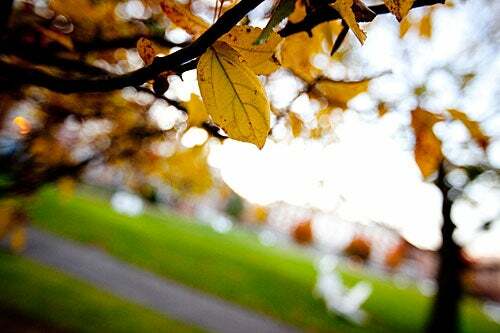 Autumn colors frame the edges of the quad. 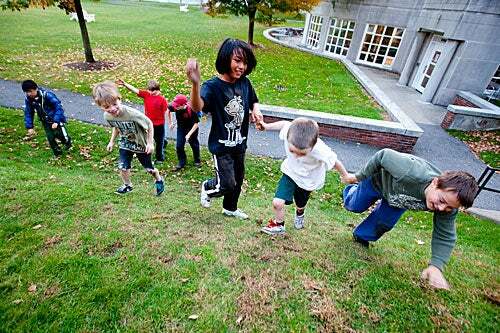 During their after-school program, young Graham and Parks Alternative Public School students come with their teacher to roll down the small hill on the edge of the quad. Graham and Parks students play on the quad. 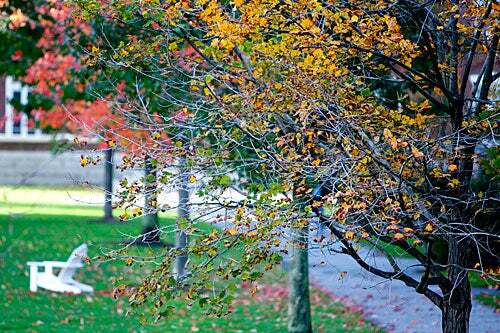 Fall’s last leaves hang by the pathways that encircle the quad. 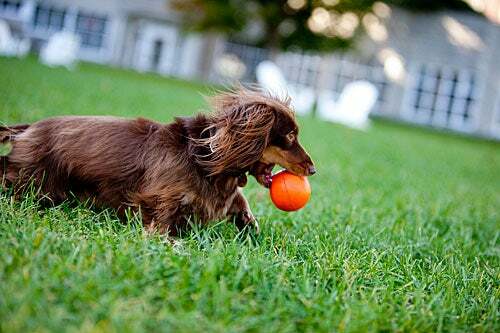 Many dogs like Henry, a mini, long-haired dachshund owned by Garrett Holmes '13, a Harvard Law School student, visit the quad each day. 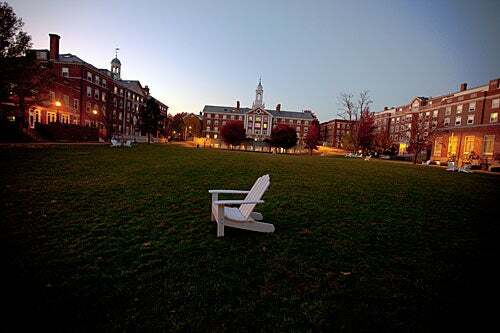 Even after sunset, warm weather draws students onto the quad. 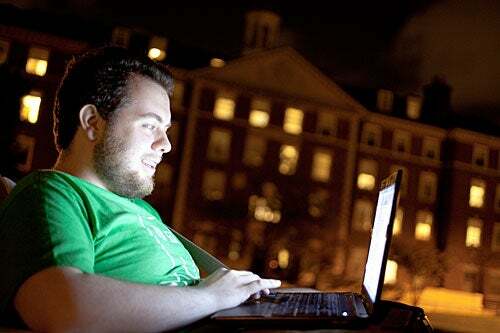 Cabot House resident Blake Wilkey '12 gets some schoolwork done on his laptop. Cabot and Pforzheimer Dining Halls are located beneath the Moors Hall (Pforzheimer House) terrace. 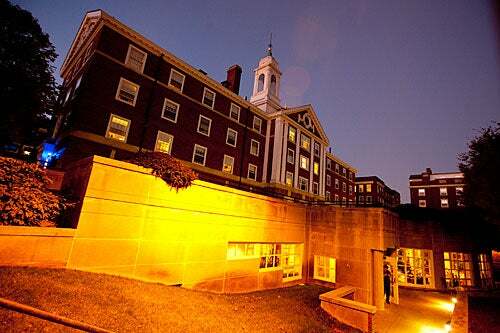 Along with Currier, these are the only Harvard undergraduate Houses that are not River Houses. 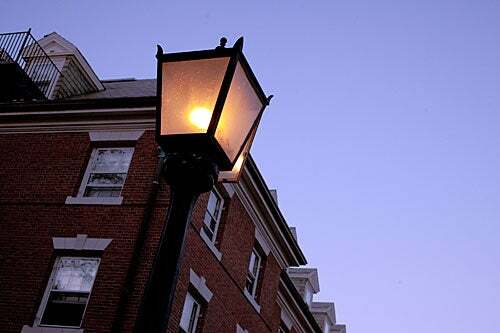 A lantern on the south side of Radcliffe Quad lights pathways at dusk. In accordance with the University’s fair market rent policy, Harvard University Housing charges market rents for Harvard University Housing. To establish the proposed rents for 2012-13, Jayendu Patel of Economic, Financial, & Statistical Consulting Services performed and endorsed the results of a regression analysis on three years of market rents for more than 3,200 apartments.